90 Day Fiance couple Steven Frend and Olga Koshimbetova will apparently be together in America by the end of April! Steven recently announced Olga will be flying to the United States with his son, Alex, very soon so they can start their lives together as a family in America. Steven revealed the news in an Instagram status update in which he revealed he had returned home alone after spending the last couple of months in Russia with his fiancÃ©e and son. "Sorry I've been on a [social media] break while I work on plans. I'm in the U.S. now, Olga will be here in a week or 2. She already has her Visa," Steven shared in an Instagram Story, referencing how Olga's K-1 visa application had been approved. "Now we only need the plane tickets. I had to leave Russia without Olga early or I was going to lose my job." Steven left Maryland and flew to Russia in late January in order to spend some quality time with Olga and their baby boy. "I am going to russia to be there with her during her interview. I have all of the correct paperwork they need for the interview. Then we come back to USA together!" Steven wrote on Instagram at the time. The cost of purchasing a plane ticket for Olga may also be part of the reason why Olga did not come to America with Steven, as he's admitted to having financial issues in the past. Steven, who reportedly installs fire sprinklers for his job, has reached out to fans for their support and generosity at times when he's found himself in a bind with money. Steven met Olga while she was visiting America for the summer in 2017, and after only a month-and-a-half of dating, the couple discovered Olga was pregnant. Steven said learning he was going to be a father was "a holy sh-t moment." Olga returned to Russia about a week after learning she was pregnant, but Steven proposed they get married and have her return to America on a K-1 visa. Steven told Olga he had applied for her K-1 visa shortly after her return to Russia but the visa application had been delayed, leaving her stuck overseas for the birth of their son, Richie Aleksandr Frend, on April 19, 2018. 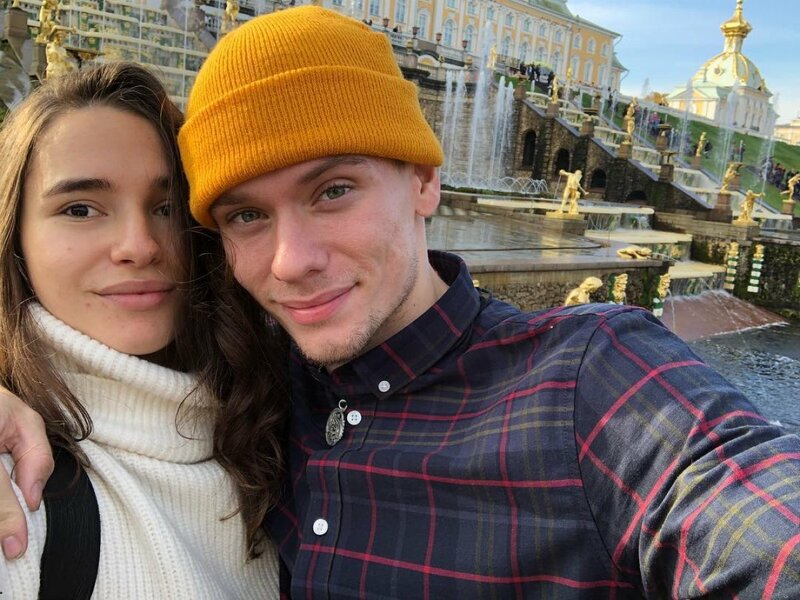 However, 90 Day Fiance viewers saw Steven eventually admit to Olga on the show's December 23 episode he had been lying and didn't actually apply for the visa until after traveling to Russia to be with Olga for Richie's birth. Once Steven admitted the truth to Olga on Season 6 of the TLC reality series, she appeared to take the news surprisingly well and quickly forgive him. The couple has seemingly been together and happy ever since.